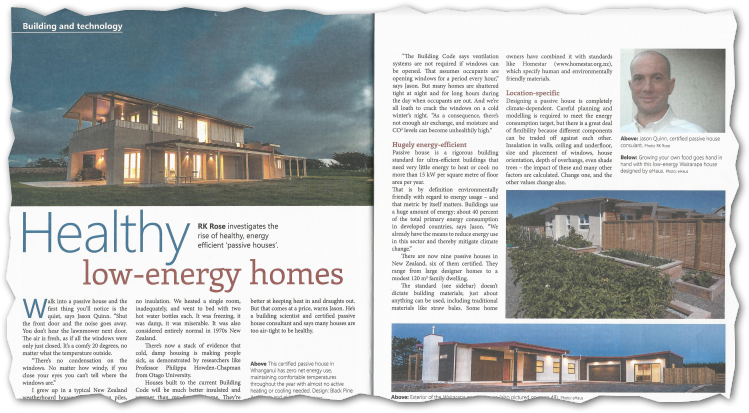 March 2016 Organic Magazine’s Low Energy Homes | Sustainable Engineering Ltd. This article features our Director, Jason Quinn, there was a lot to condense into this article. The one additional comment he wishes had made it into the article was that most new homes built in New Zealand to the current building code are unhealthy due to inadequate ventilation resulting high moisture levels and often times mold. Yes, That’s a brand new home built to meet the code.